Gorilla Perfume, a branch of LUSH cosmetics, never fails to disappoint me with their innovative take on fragrances inspired by the English countryside. Their fragrances are so different to anything else you could find on the market, especially in high street perfume retailers, and a great deal of thought goes into every aspect of the creation of the fragrances by Mark and Simon Constantine. 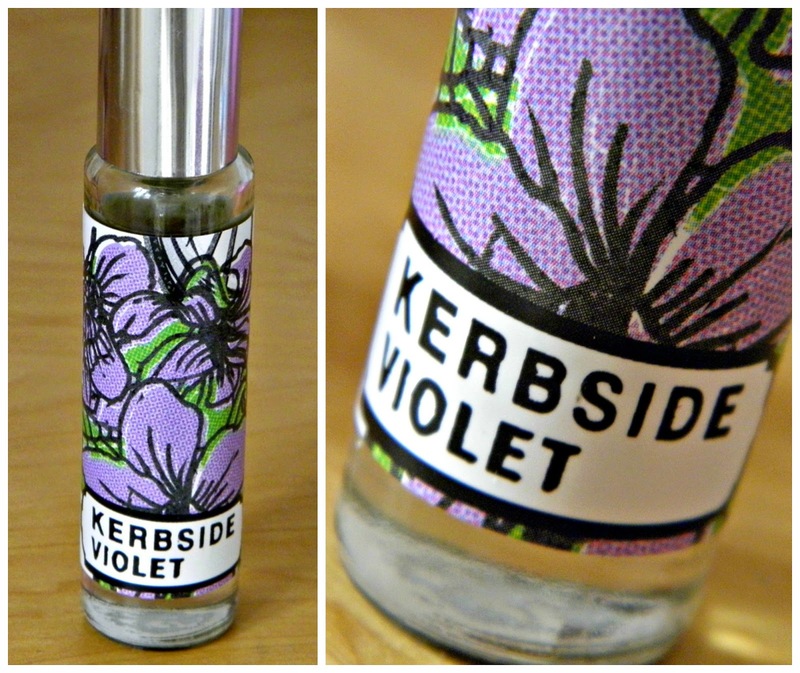 Kerbside Violet, a fragrance from the latest 'Death, Decay and Renewal' collection, is a fragrance that I loved from the moment I sprayed it onto my skin. Kerbside Violet drew its inspiration from the violet flowers that grow through the cracks in pavements. The fragrance is sweet and subtle, and a fragrance that is just as delicate as a real violet flower would smell. It isn't a particularly complex fragrance - I'd describe it to smell a lot like Parma Violet sweets (which I happen to love). There is also a kind of slight grass smell to the perfume but, on my skin, the sweet violet fragrance is the strongest.